Florence ripped through Boone Saturday afternoon through Monday morning leaving behind wet roads and overflowing rivers. Boone received a total of 6.07 inches of rain as of 2 p.m. Monday according to NOAA. 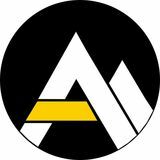 App State police and App State’s emergency management team were on call 24/7 to deal with problems that arose for students, faculty and staff. “We activated the campus emergency operations center and provided 24 hour support to campus throughout the weekend and into Monday,” Jason Marshburn, director of environmental health, safety, and emergency management, said in a email. Marshburn also said the operations center was the central coordination point between local community partners to make sure timely information was shared and the needs of the campus community were met. App State police also played various roles during the storm. 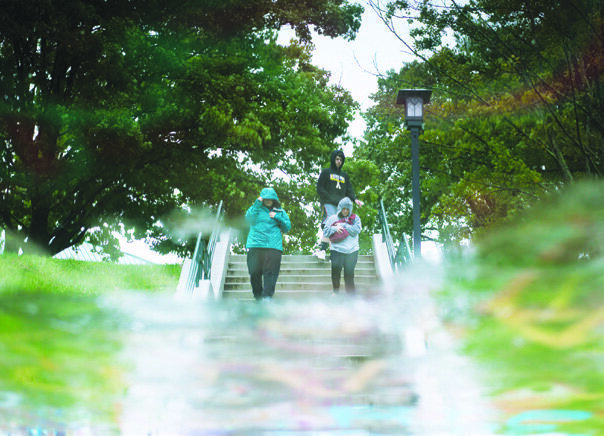 App State police also provided security to the Quinn Center shelter and monitored areas around campus that commonly flood such as Rankin Hall, Durham Park and Legends. Marshburn said the emergency shelter in Quinn housed four people Sunday night. Stephenson said police responded to a fallen tree near Mountaineer Hall and an incident near the football stadium involving a manhole cover. Overall campus impact was minimal due to the preparation that took place before the storm hit. Stephenson’s role during the storm was to oversee emergency management operations, strategically plan responses to arising issues and ensure that Chancellor Everts and the administration were informed of developments. While the response to the storm is still being evaluated, Marshburn said there is one area of improvement emergency management needs. Stephenson said he learned a lot from this event, especially when it comes to predicting what will happen when it comes to predicting weather in the mountains. 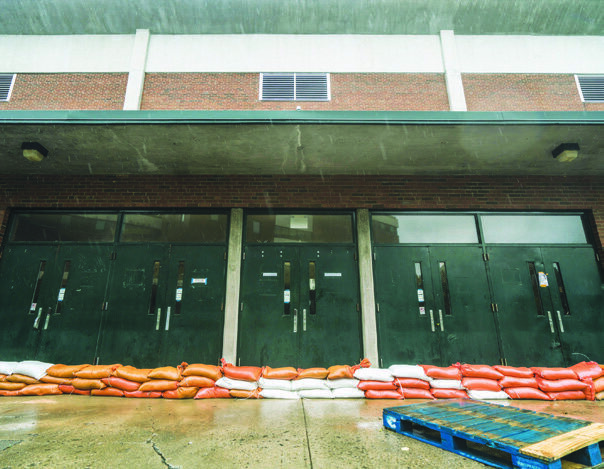 A wall of sandbags defend the Varsity Gym, one of the lowest points on campus, from floodwaters. He also said he came away from this experience confident that their team of partners on campus can handle major threats to safety. Marshburn said preparedness for Florence started on Sept. 5 and campus leadership was involved from start to finish. “The overall response to this incident highlights the countless hours spent planning and preparing for campus emergencies and demonstrates the true dedication of the many professionals across campus working to ensure campus safety,” Marshburn said.